Jim Fleming was a winner in his football career. He won a Scottish Junior Cup medal with Kirkintilloch Rob Roy in the 1961/62 final replay win over Renfrew. Jim had scored the Rob Roy goal in the 1-1 drawn first game. 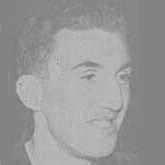 He joined Stirling Albion in 1963 and was again a winner, being a member of the side that won the Second Division championship in 1964/65 (there were only two divisions of the Scottish League at this time). Jim scored 30 goals for The Binos in 66 games. Jim started and ended his Clydebank career with a goal. He scored on his debut a 2-0 win against Brechin on 12 August 1967. His final game for the Bankies was on 20 April 1968 in a 5-5 goalfest with East Stirling when he signed out with a goal. He was a clever centre forward who had good ball control, great positioning and had an eye for goal. He also brought his forward colleagues into play with good link up play. Jim retired at the end of season 1967/68 having scored twelve goals, all singles for Clydebank.